Our Vice-Principal, Mrs. Michelle Picchione, earned a Bachelor of Arts Degree in Education from Rhode Island College. Shortly thereafter she earned a Masters of Education degree in Educational Leadership from Lewis University and a Masters of Education degree in Reading and Literacy from Benedictine University in Lisle. 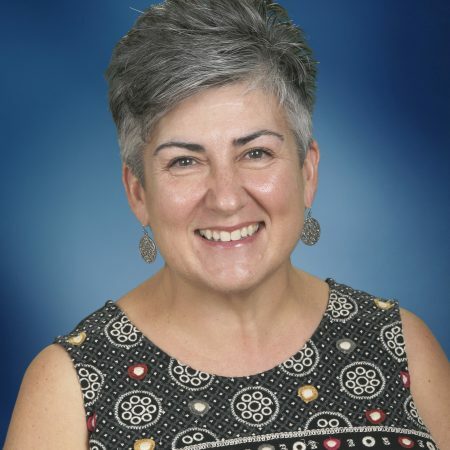 Most recently, Mrs. Picchione has served as a reading specialist and team leader for various professional learning communities at St. Petronille School in Glen Ellyn. In addition to her work on the school level, Mrs. Picchione serves on the Curriculum Council for the Diocese of Joliet. In her spare time, Mrs. Picchione volunteers as an officer for the Catholic Daughters of the Americas at St. Petronille Church and is involved with various ministries. She spends much of her time with her family including her husband Jeff, daughters Sienna and Olivia, and son Christopher.